Muslim Advocates is committed to strengthening the American Muslim nonprofit sector through legal and regulatory advocacy, as well as education and training for the community. Muslim Advocates has organized key resources on mosque and institutional security from the U.S. Department of Homeland Security. 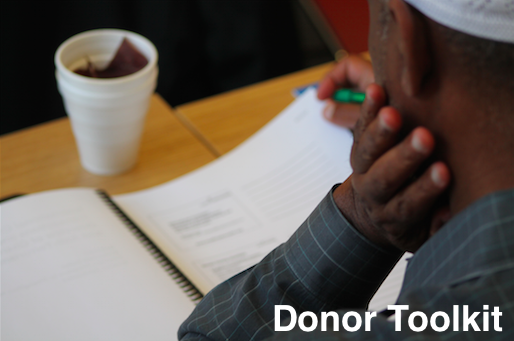 Muslim Advocates is committed to assisting donors with guidance on how to give wisely. Explore our reference materials, advisories & suggestions for donating safely & effectively. Do you know of a charity that would benefit from expert assistance with governance & oversight, measuring effectiveness, financial, and fundraising issues? Muslim Advocates is committed to strengthening the Muslim nonprofit sector through the implementation of best practices. Explore our legal resources and sample forms to assist you and your nonprofit. Policies and procedures a board or executive committee should implement to fulfill its oversight and governance responsibilities effectively. Muslim Advocates aims to strengthen the Muslim nonprofit sector by holding educational seminars across the United States. These seminars cover how 501(c)(3) nonprofit organizations can implement strong governance standards, comply with the law, and improve financial accountability. Click here to learn about previous seminar dates & locations. Launched in August 2008, Muslim Advocates’ charities accreditation program is the first and only program to provide Muslim charities with guidance and one-on-one technical assistance to promote best practices in charity management. Would your charity benefit from assistance with governance & oversight, measuring effectiveness, financial, and fundraising issues? Sign up today to have Muslim Advocates educate your organization’s leaders about the Standards for Charity Accountability and assist you with evaluation by the BBB Wise Giving Alliance (BBB-WGA), a trusted household name in charity evaluation and nonprofit best practices. Charities seeking accreditation work with Muslim Advocates to learn about the Standards for Charity Accountability, receive guidance toward implementing the policies, procedures, and other changes needed to meet the standards, and receive assistance with evaluation by BBB-WGA. Are you interested in starting a charity? Charitable giving is an American value, and a religious tradition for many people of faith including Muslims. American Muslim nonprofits and mosques help feed the hungry, aid the sick, and in many important ways better our communities. At Muslim Advocates we know that doing good work takes not only good intentions but also good management practices that effectively use resources and comply with state and federal regulations. 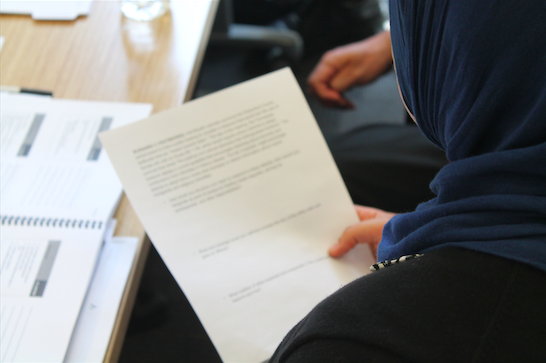 We need strong and vibrant Muslim charities that donors and volunteers can trust. Muslim Advocates has a comprehensive guide on resources to help you start or maintain a 501(c)(3) nonprofit charity.